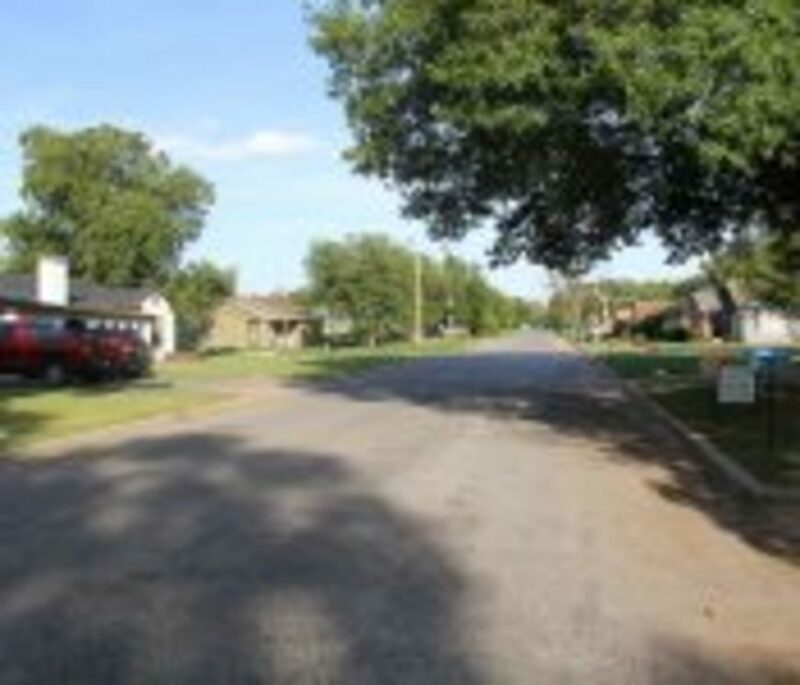 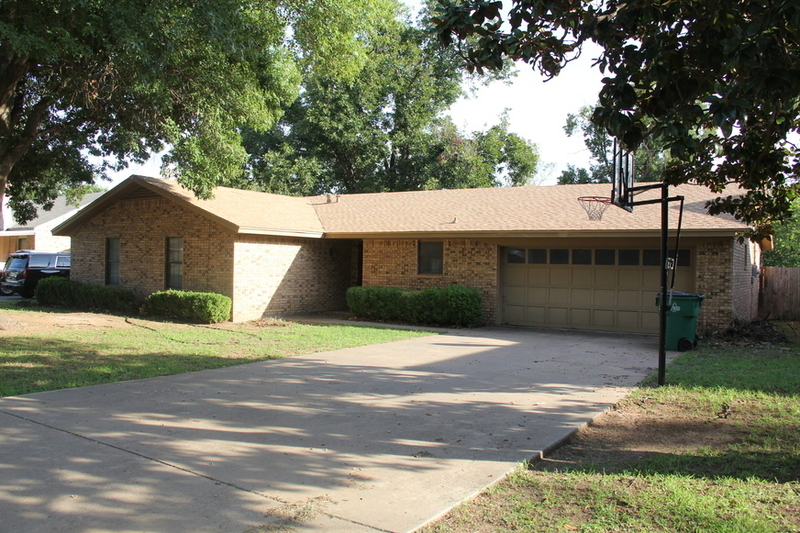 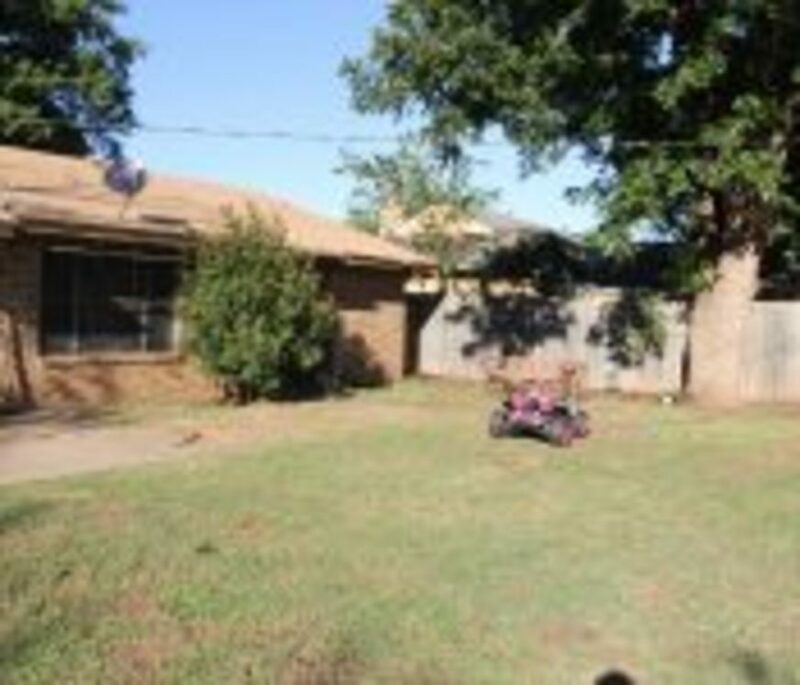 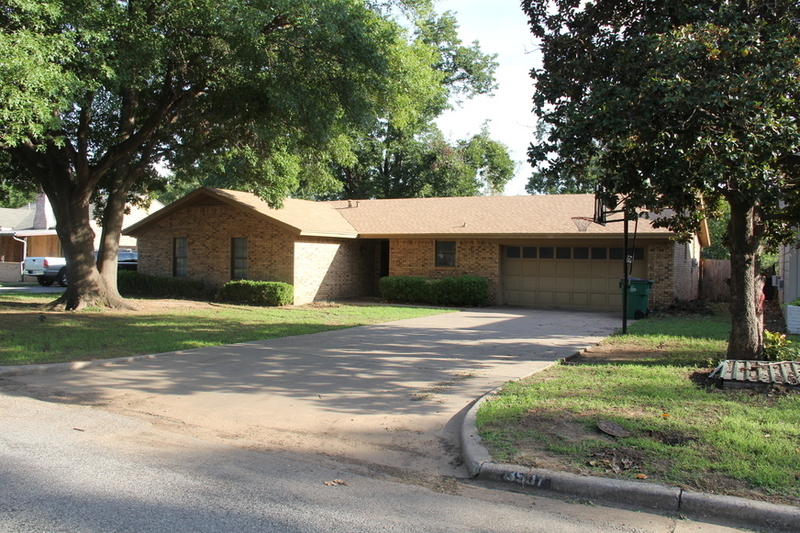 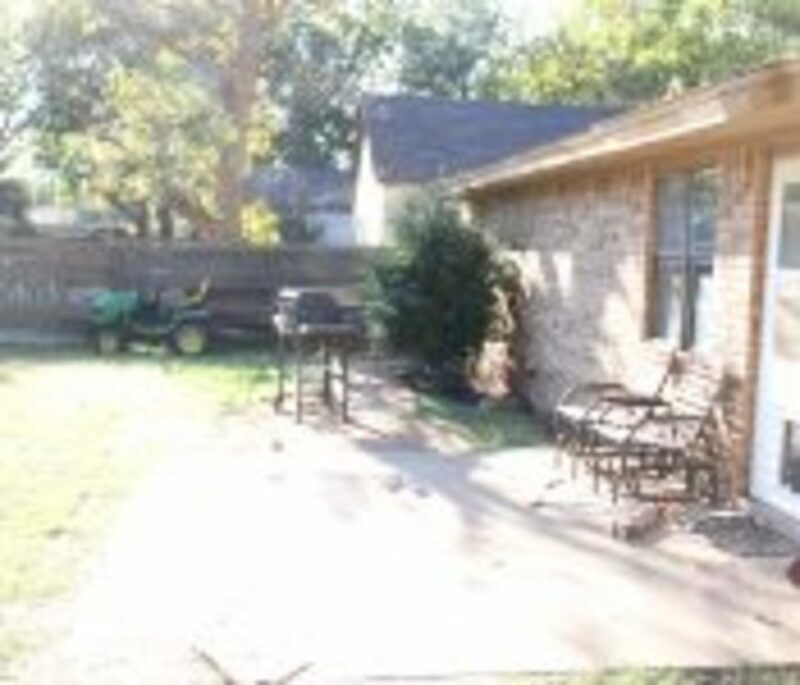 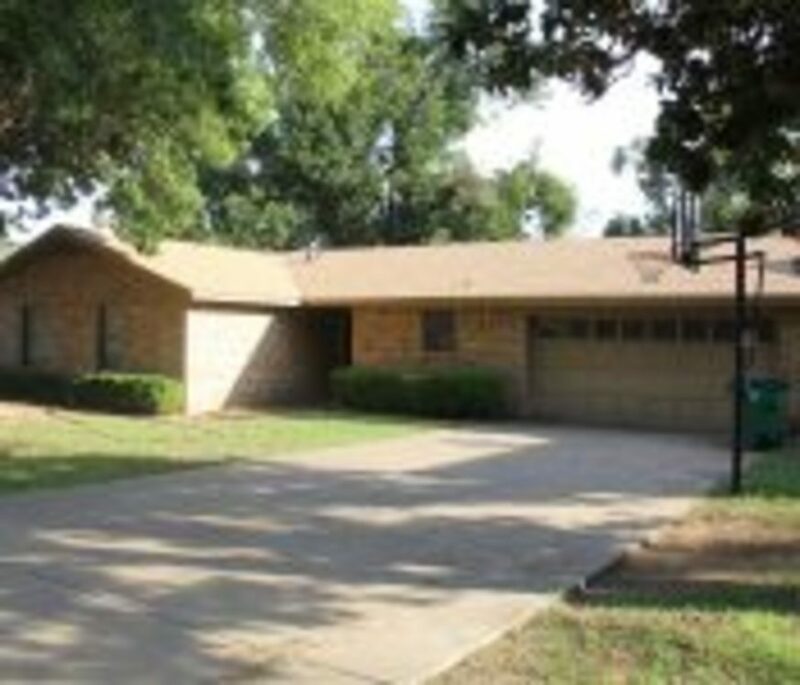 This very nice brick home is located in a quiet neighborhood. 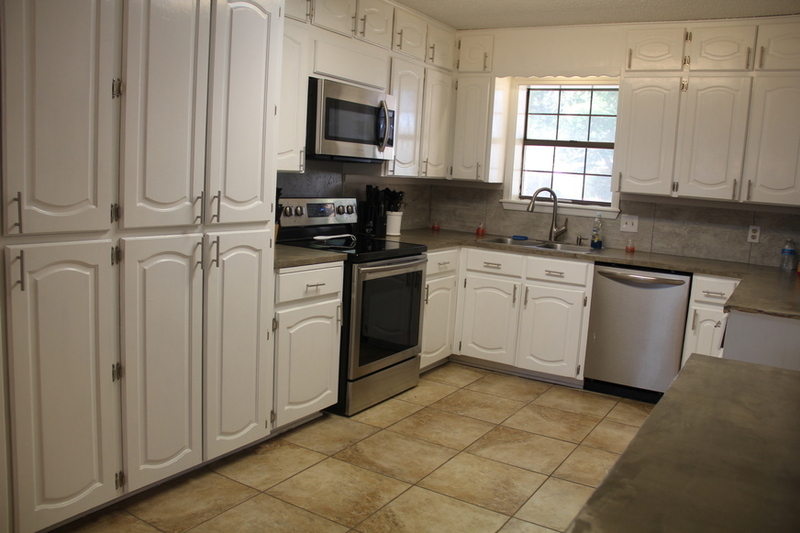 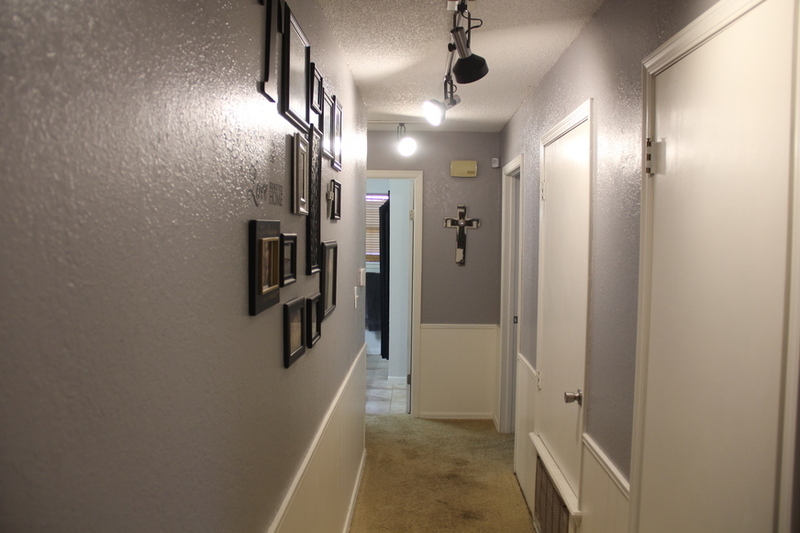 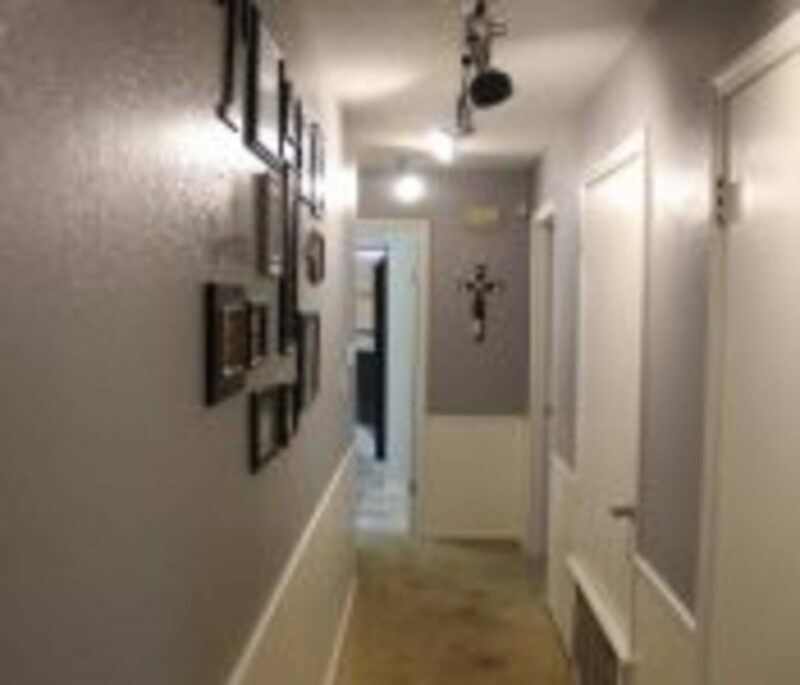 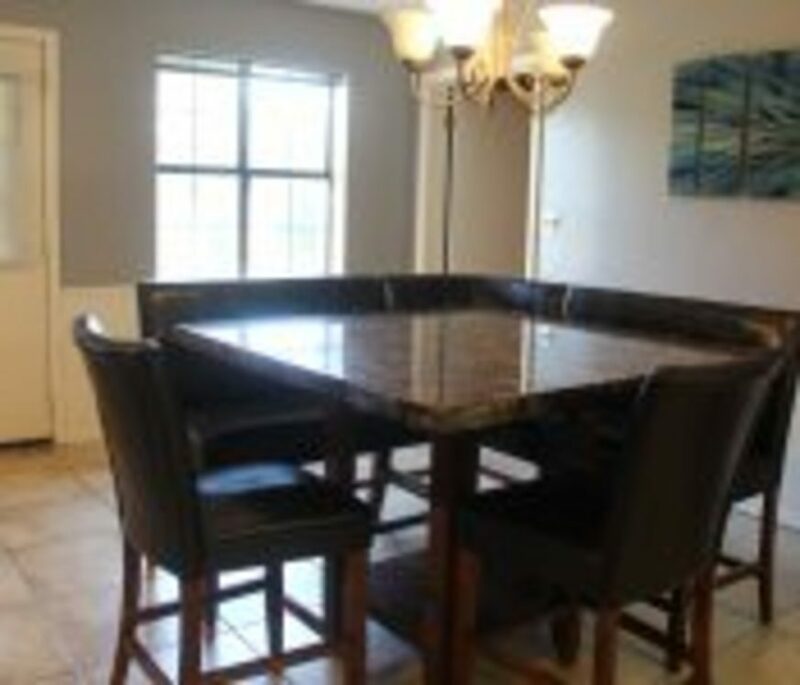 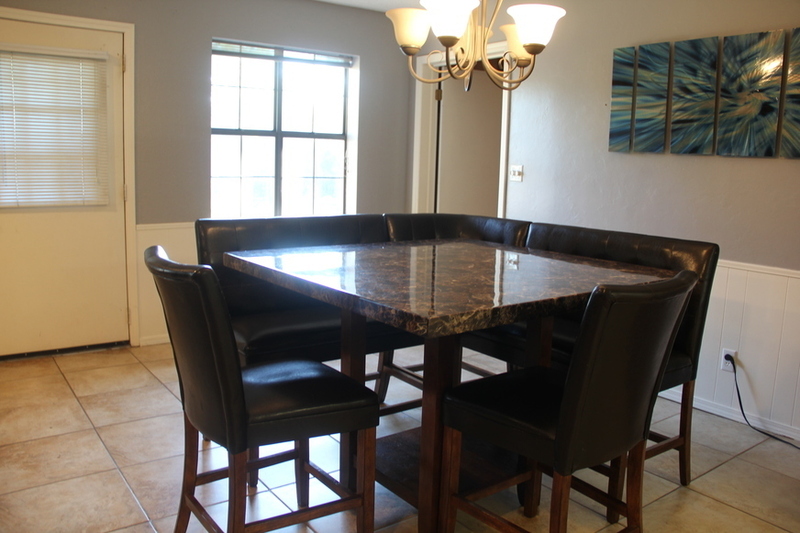 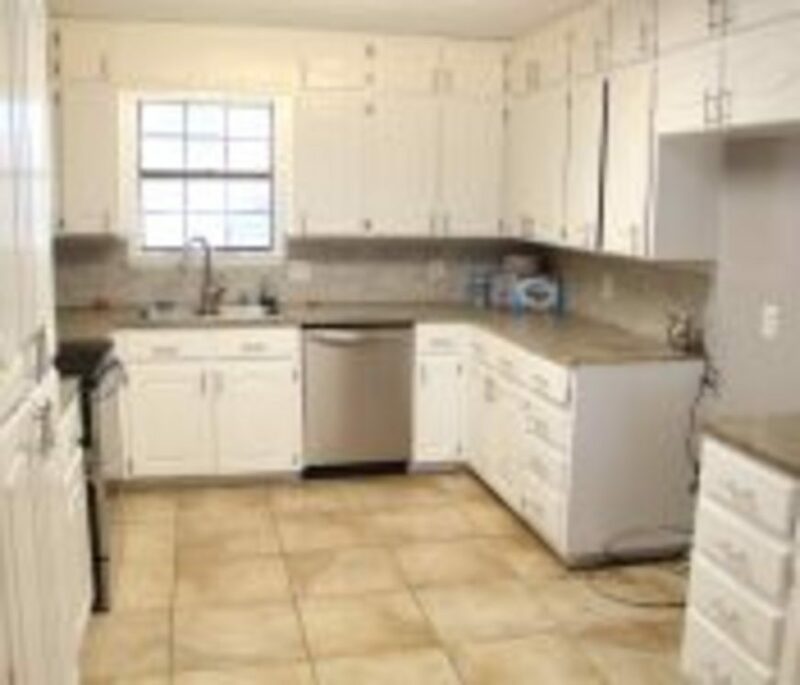 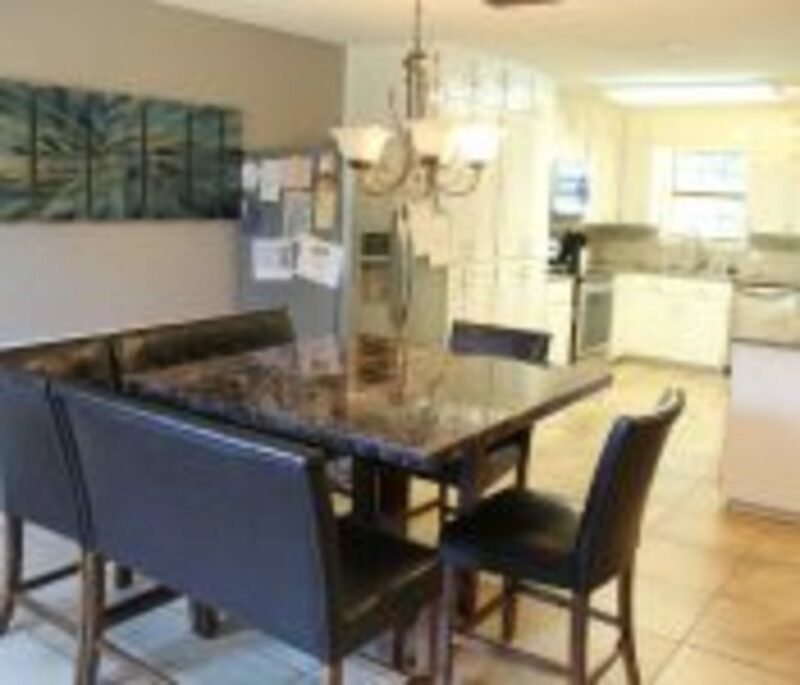 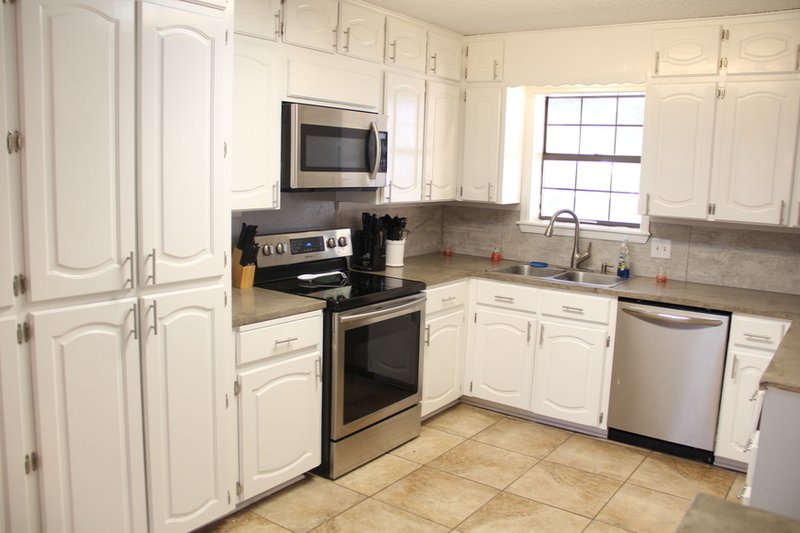 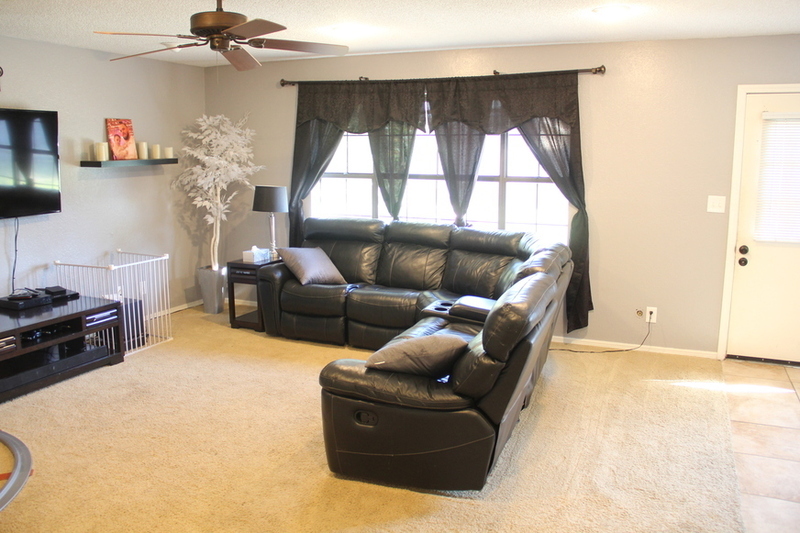 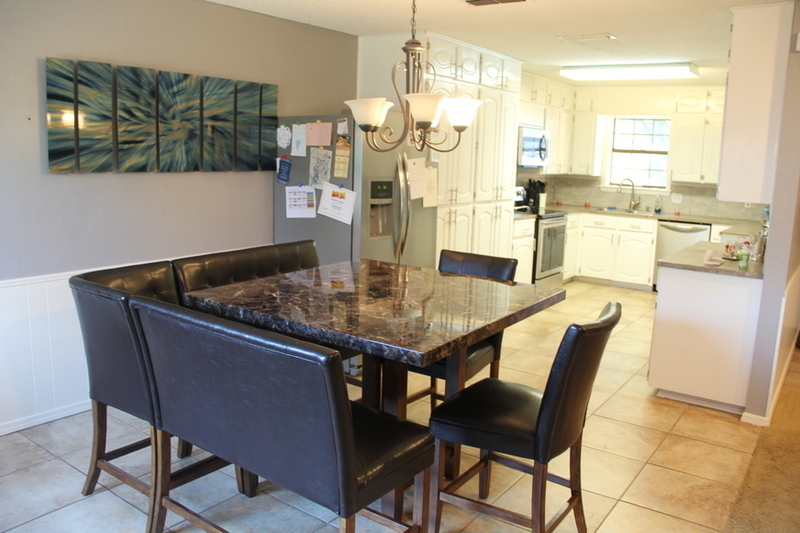 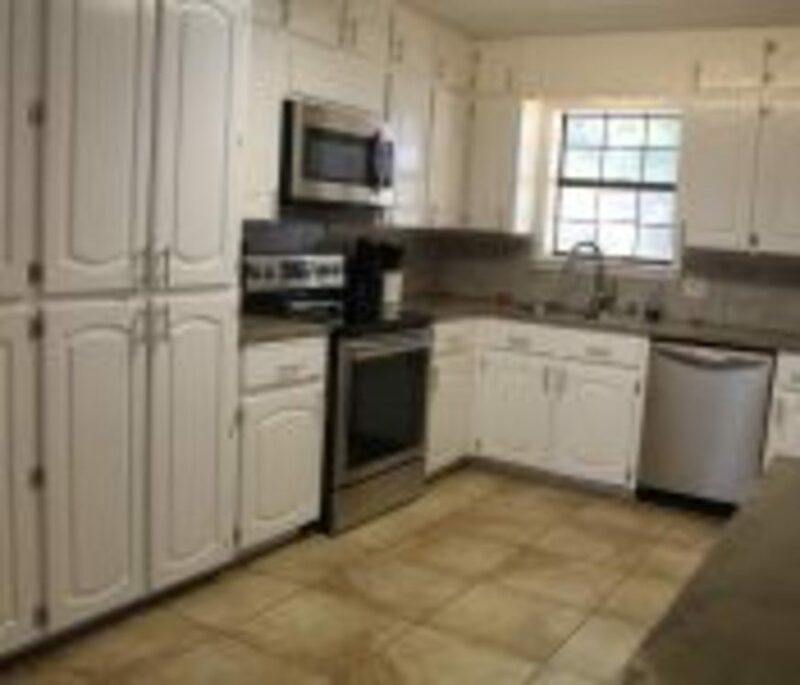 This property has a very open kitchen, dining, and nice size living area. 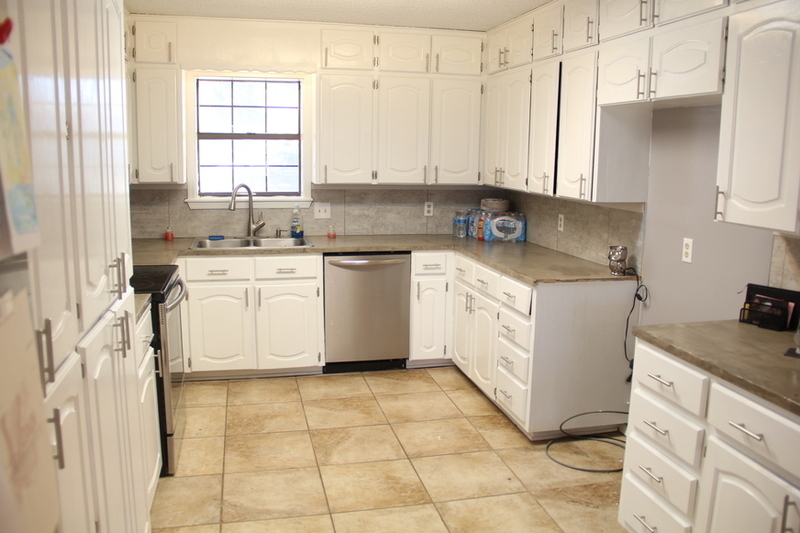 The Kitchen has been recently renovated with updates such as freshly painted kitchen cabinets, new backsplash, and very stylish concrete countertops. 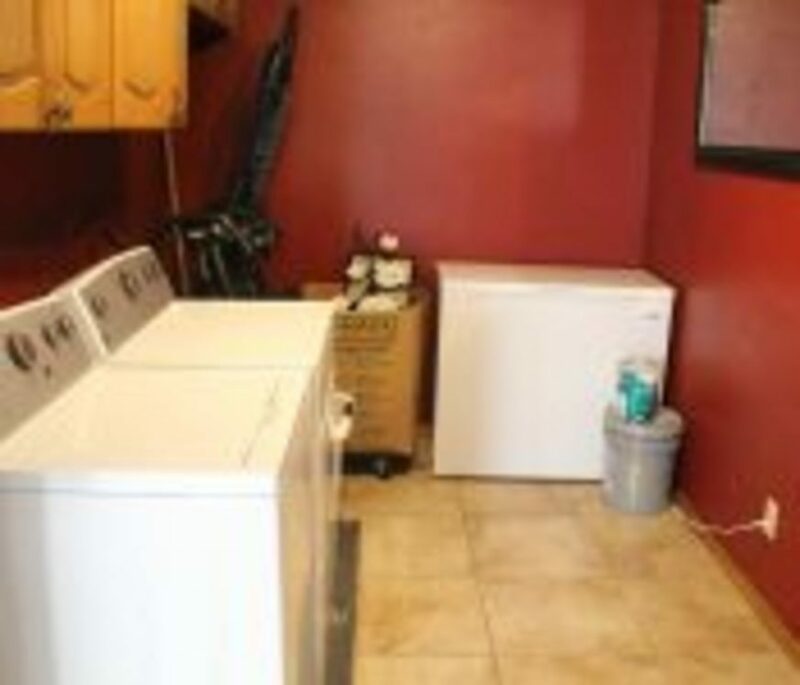 Off the dining area is the laundry room that has plenty of room for storage. 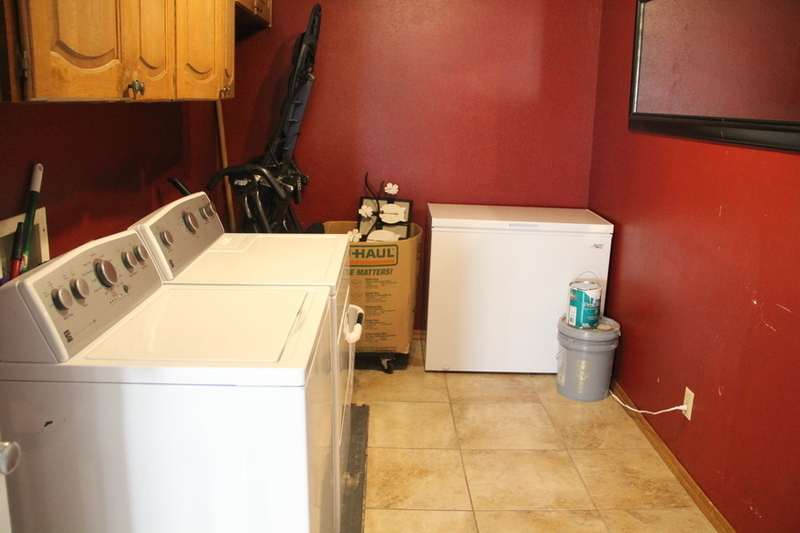 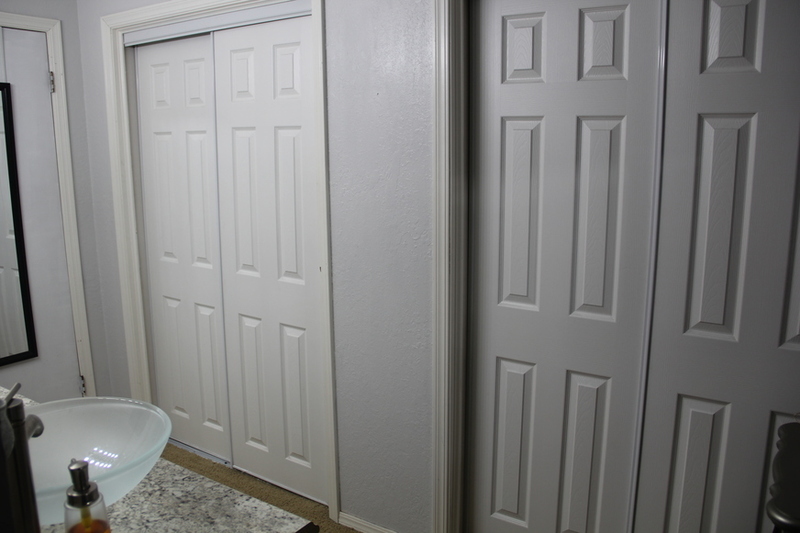 Cabinet storage is located above the washer/dryer hookups. 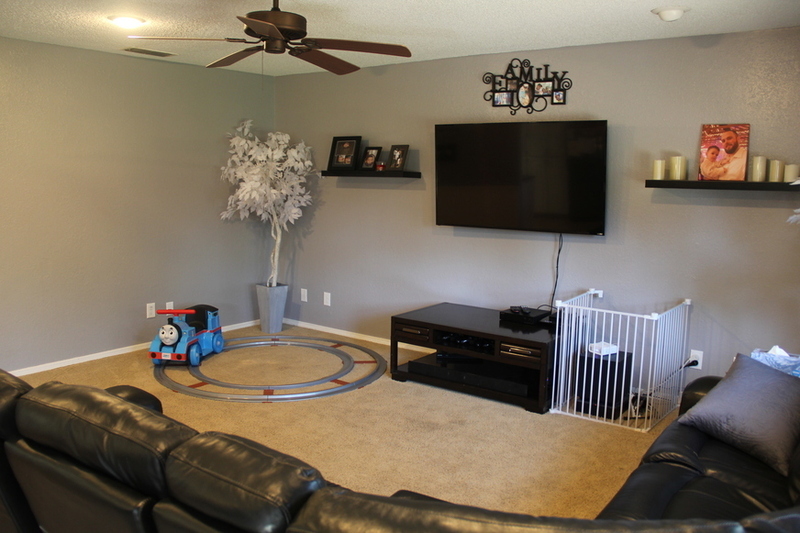 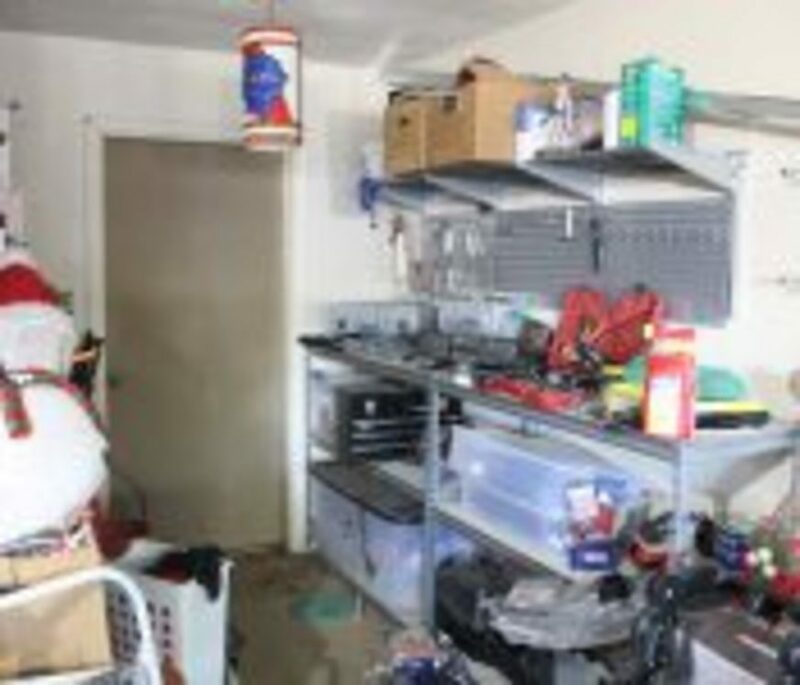 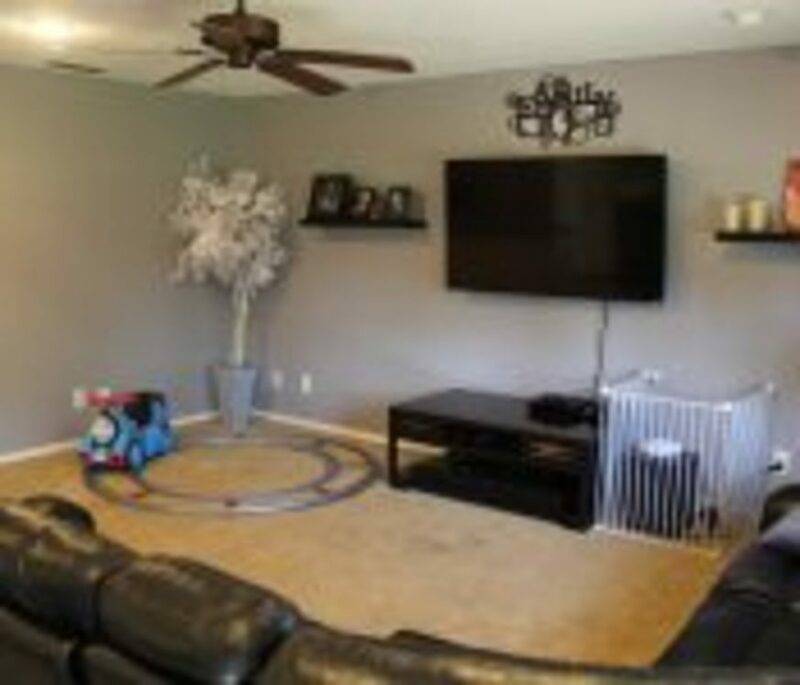 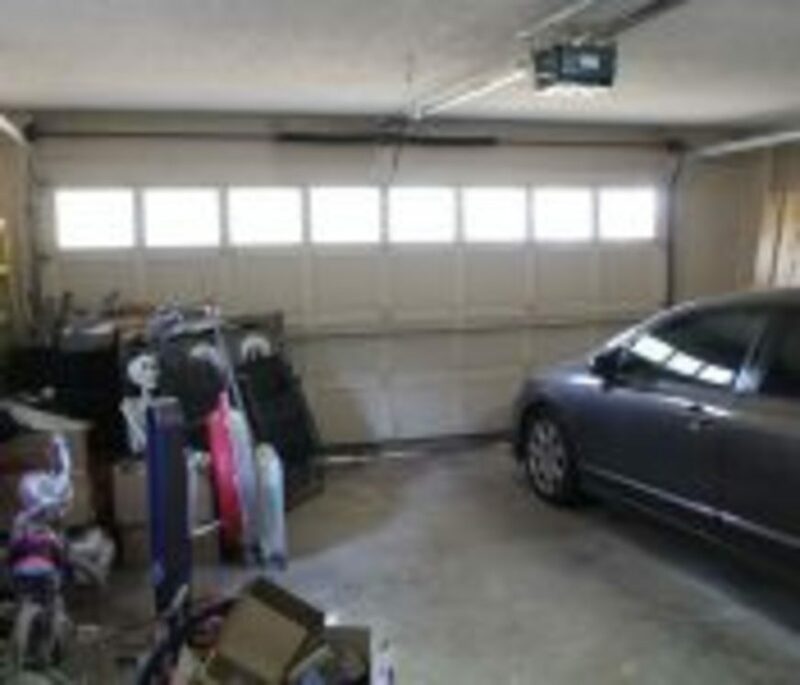 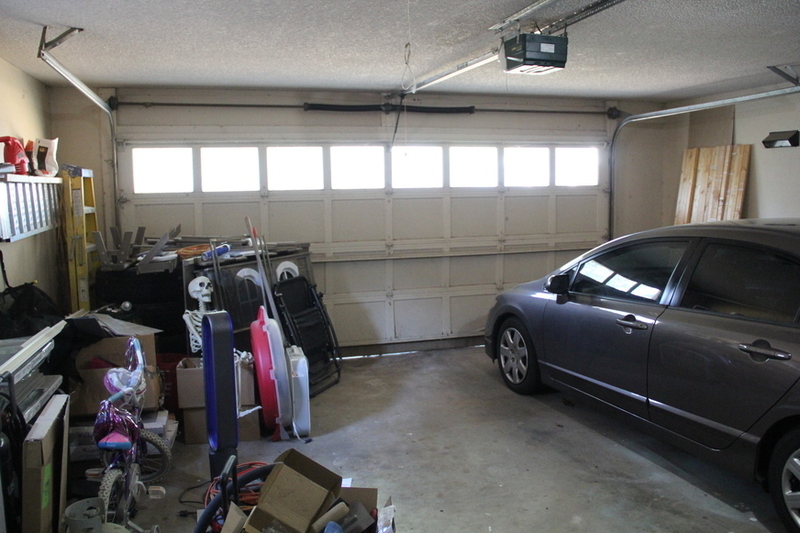 The 2 car garage has 2 doors with parking for two vehicles and an extra area for tools or more storage. 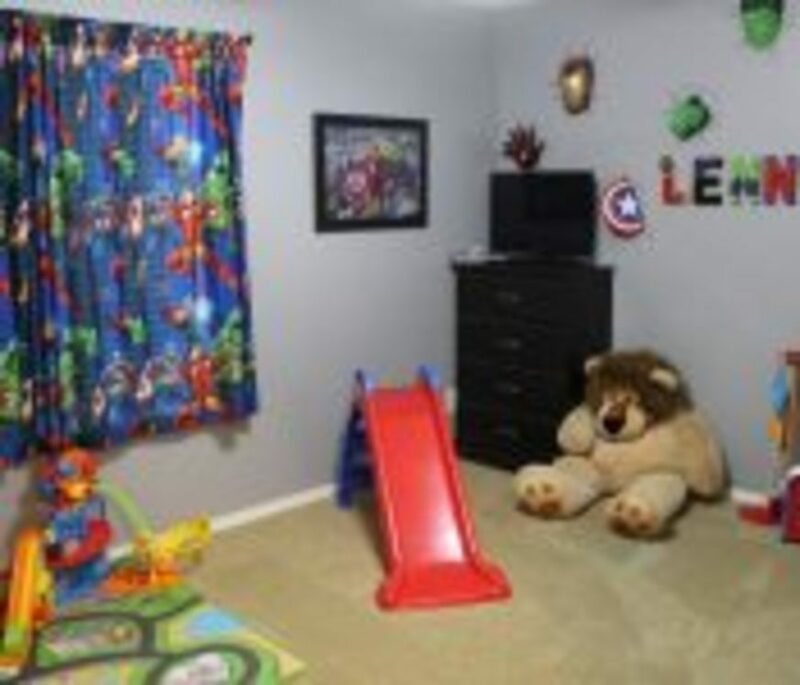 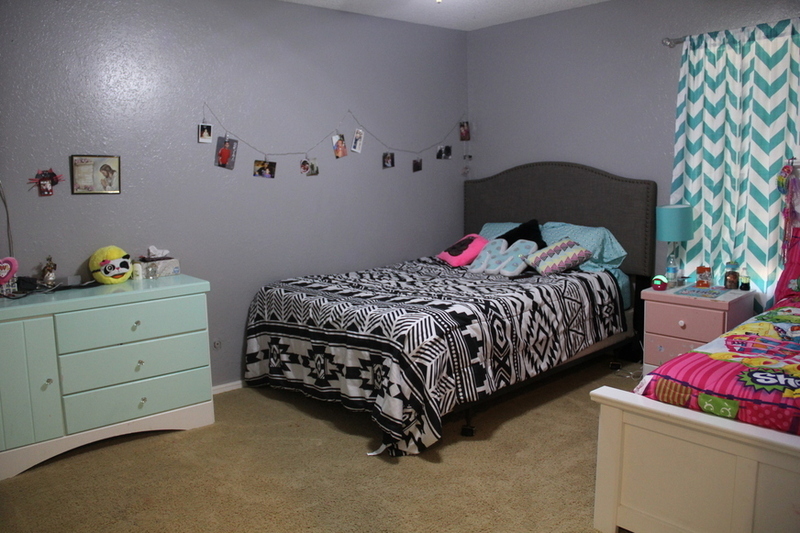 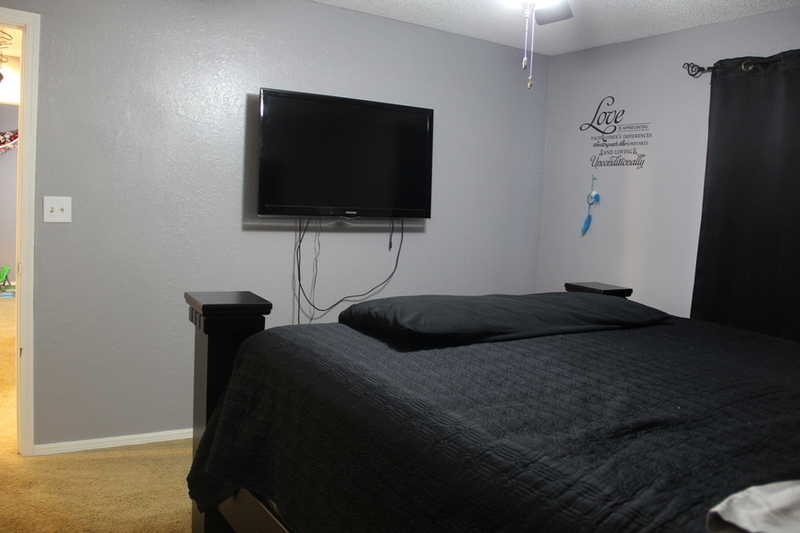 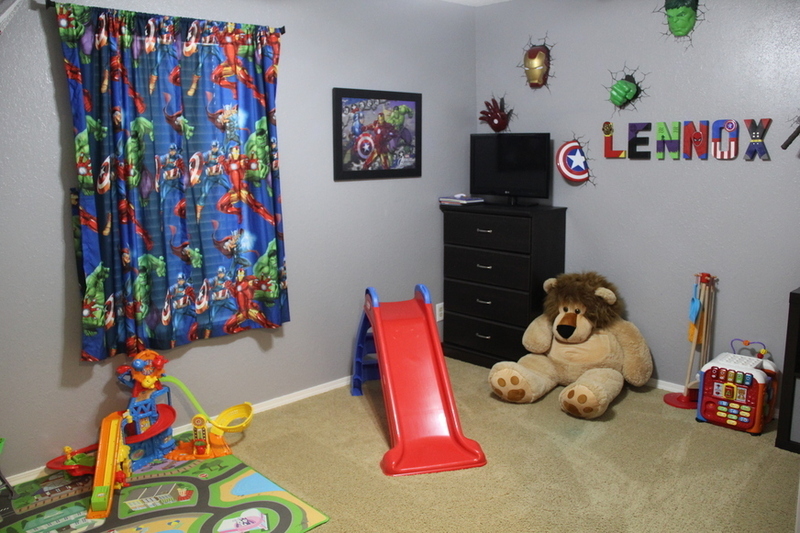 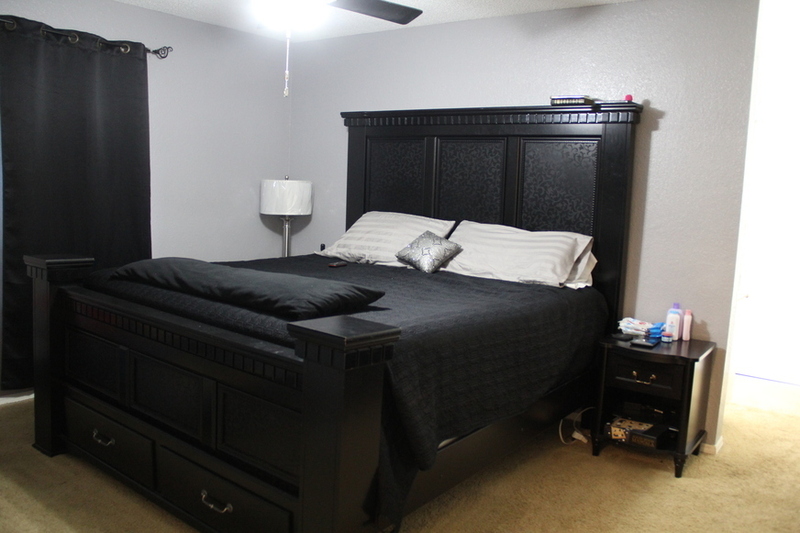 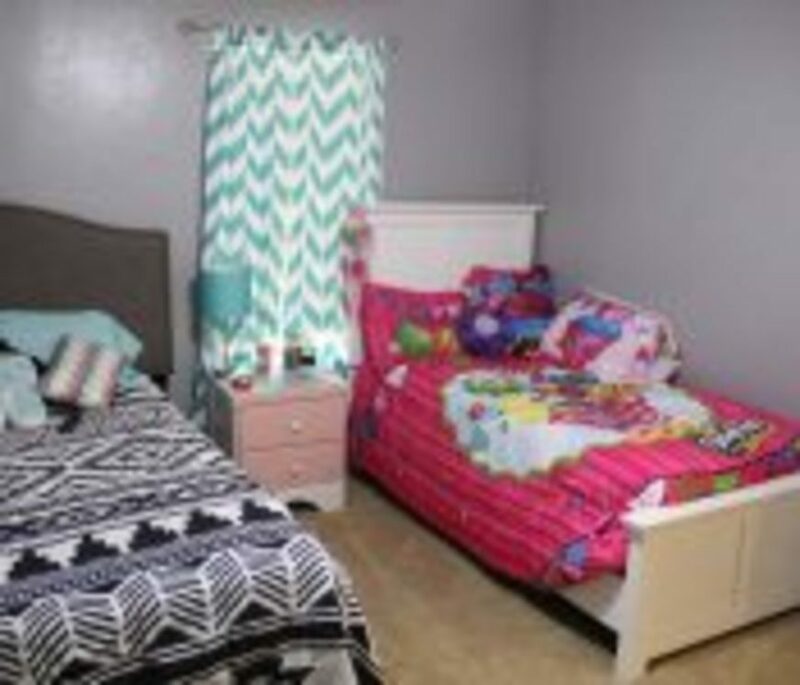 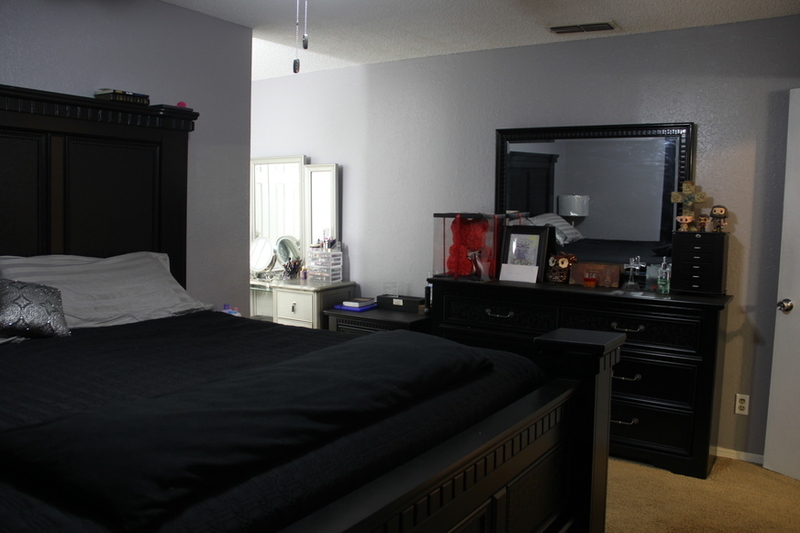 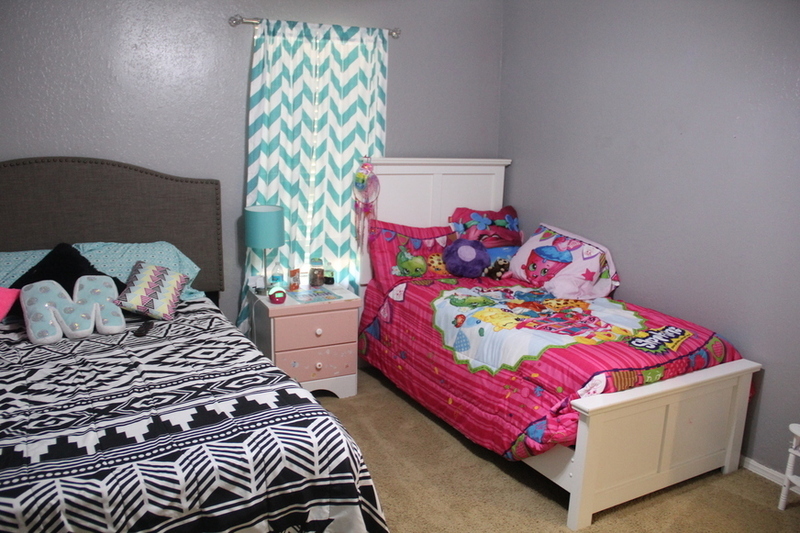 The master bedroom has plenty of room for a king size bed and dressers. 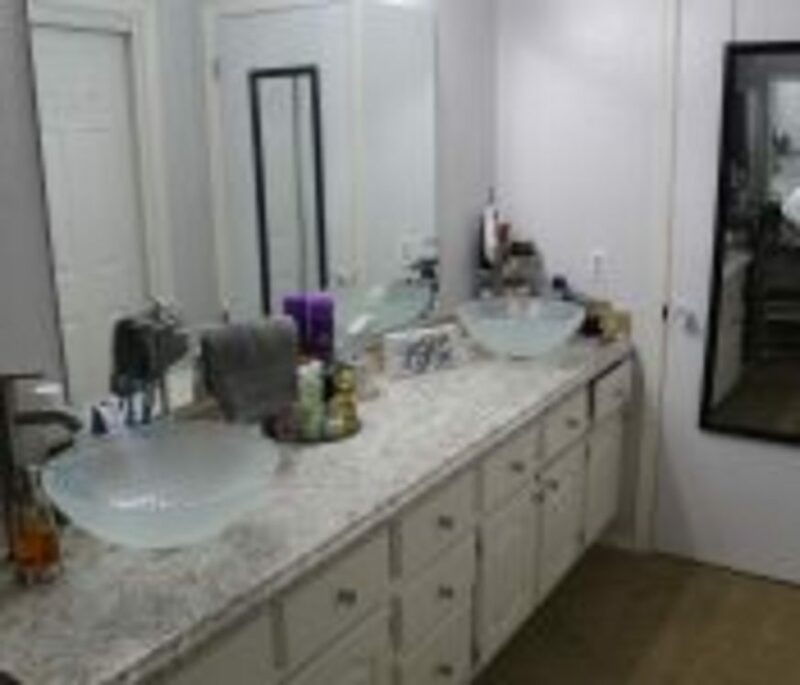 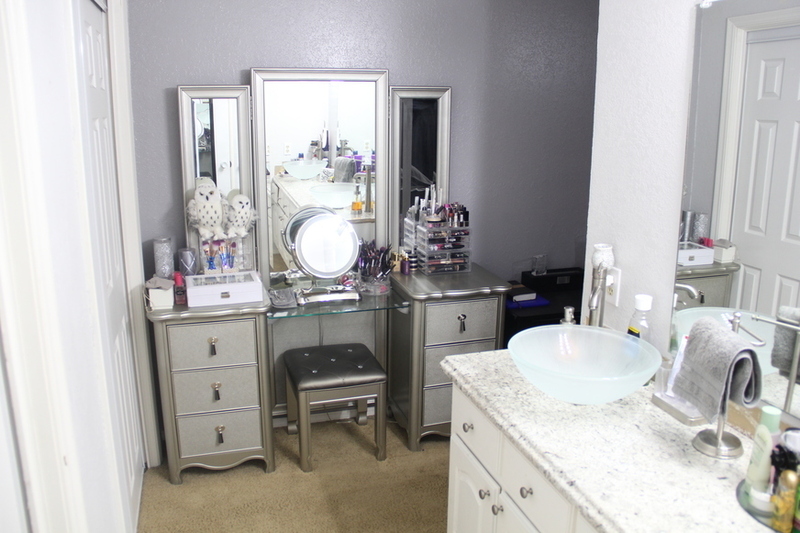 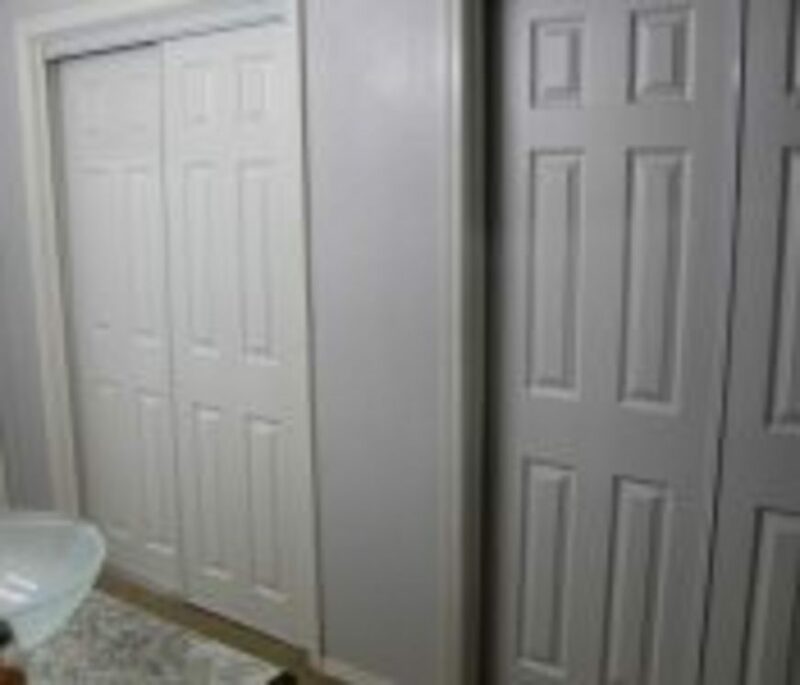 The en-suite master bathroom has a double vanity and double closets with an attached toilet/shower room. 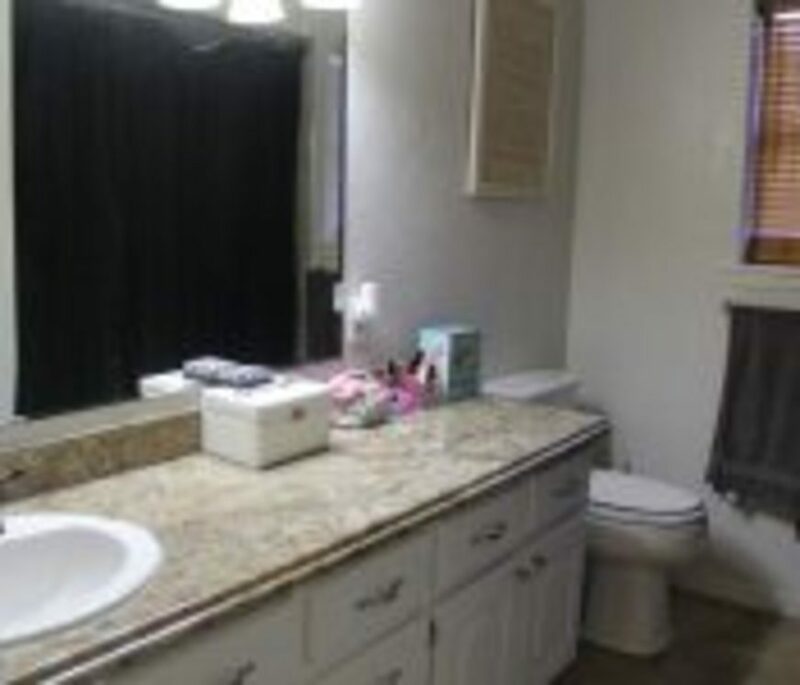 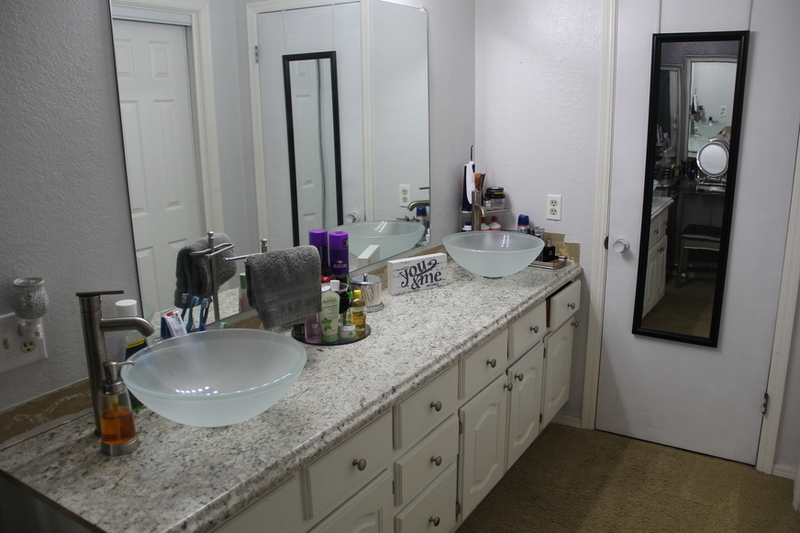 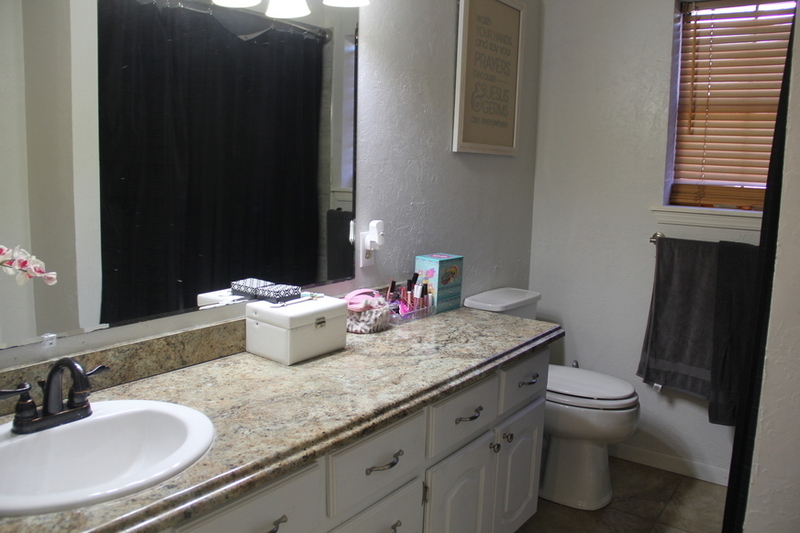 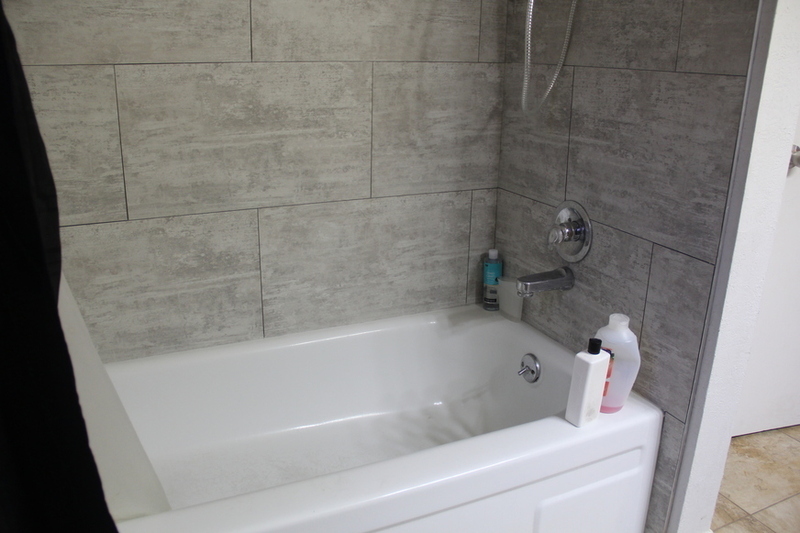 The community/hall bathroom has been updated with new countertops and new tile in the tub/shower area. 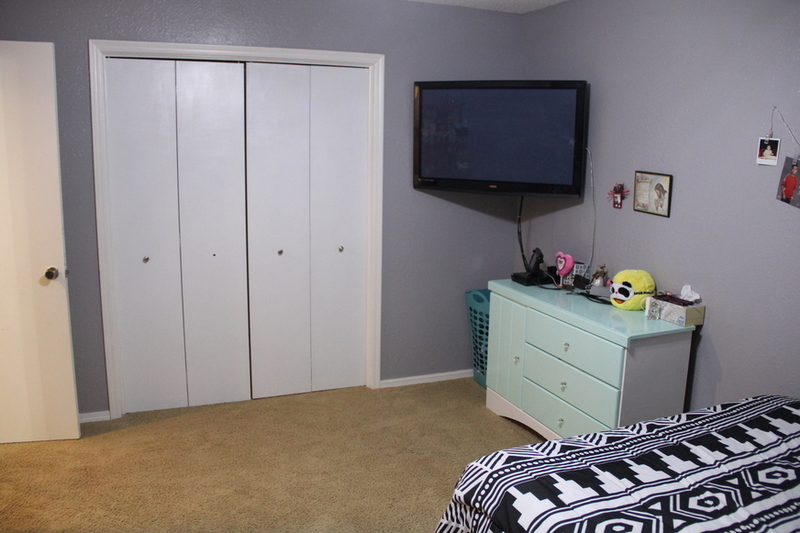 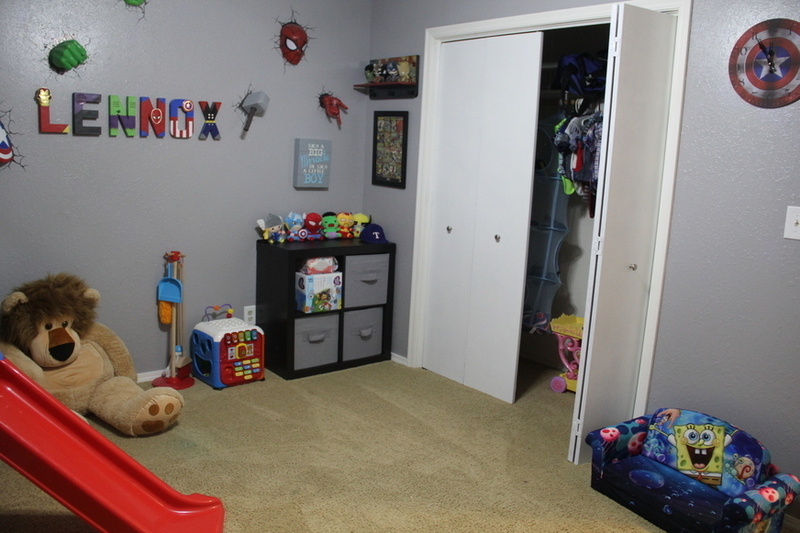 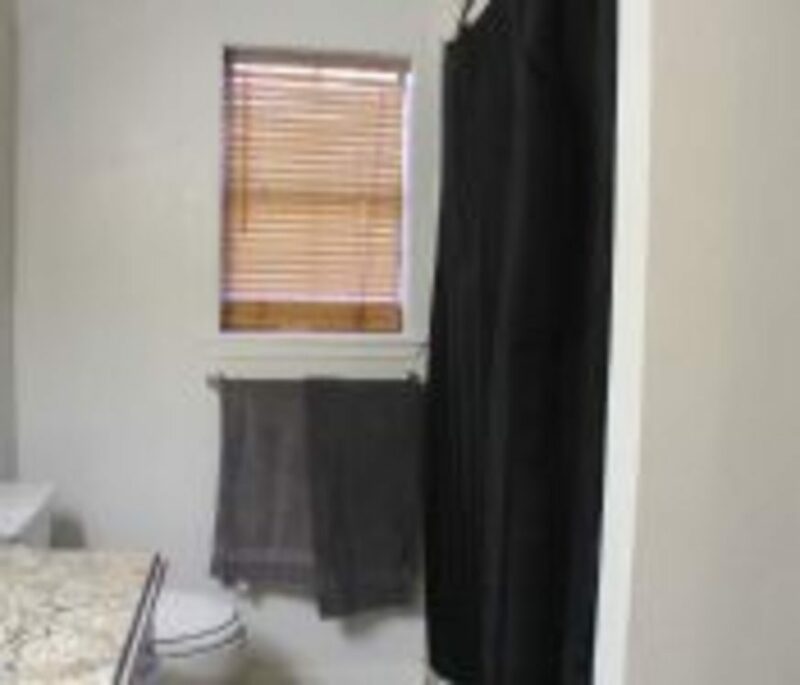 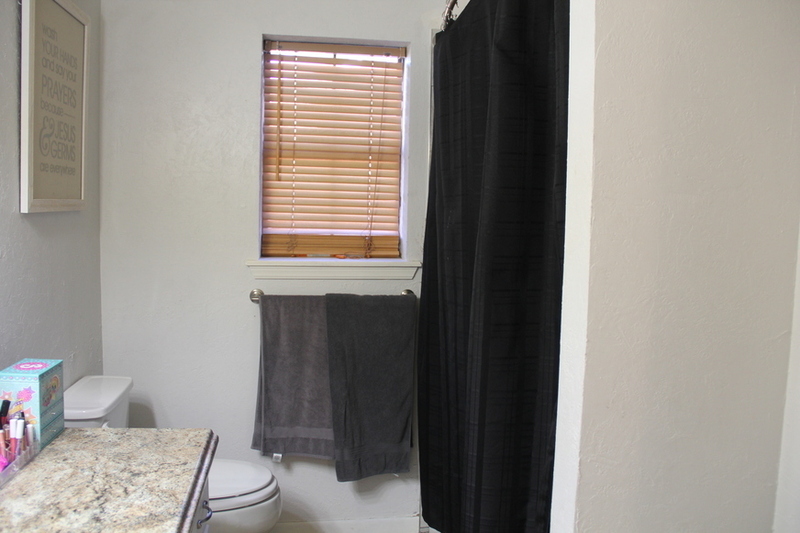 The other two bedrooms are good sized with plenty of closet space. 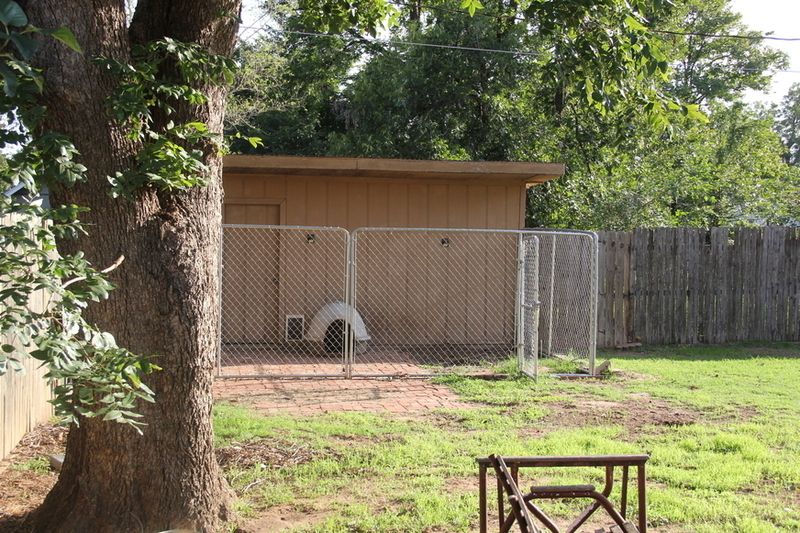 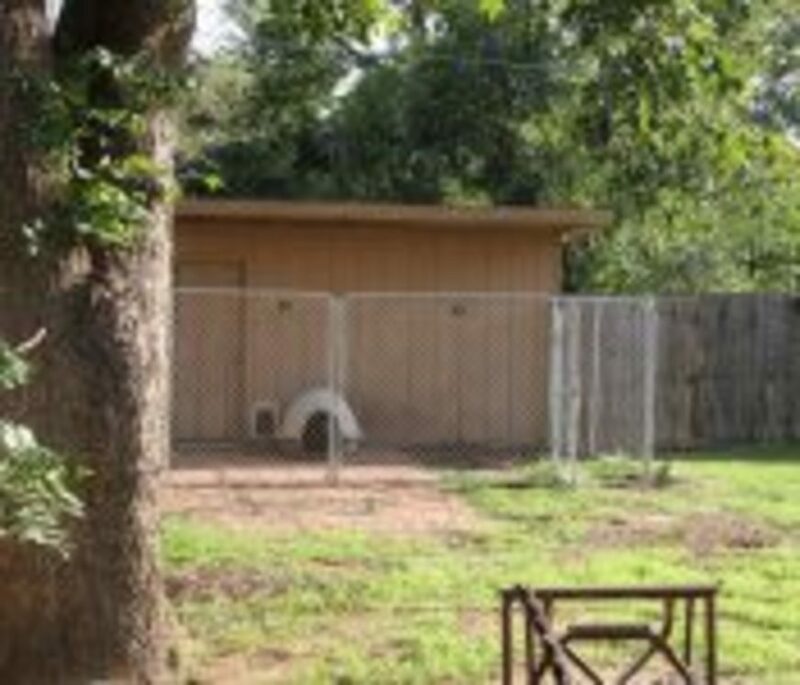 On the outside of the property, a storage building with attached dog kennel is located in the backyard. 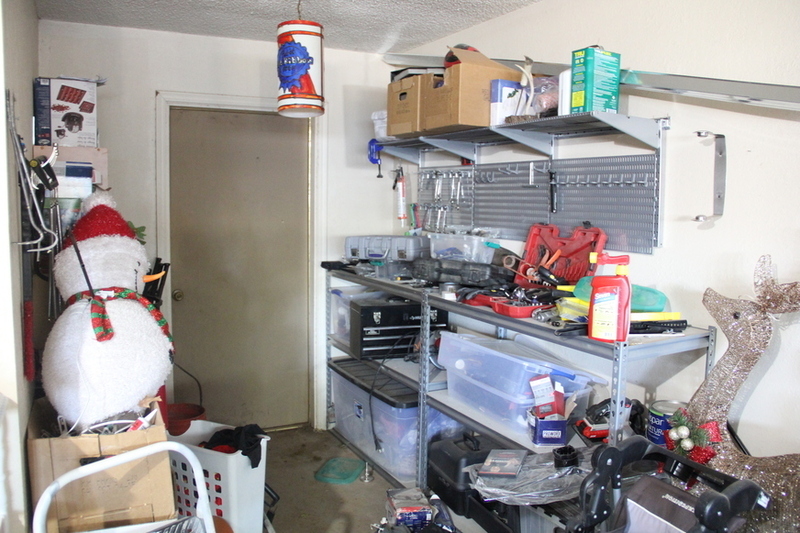 The storage building has access from the back alley also. 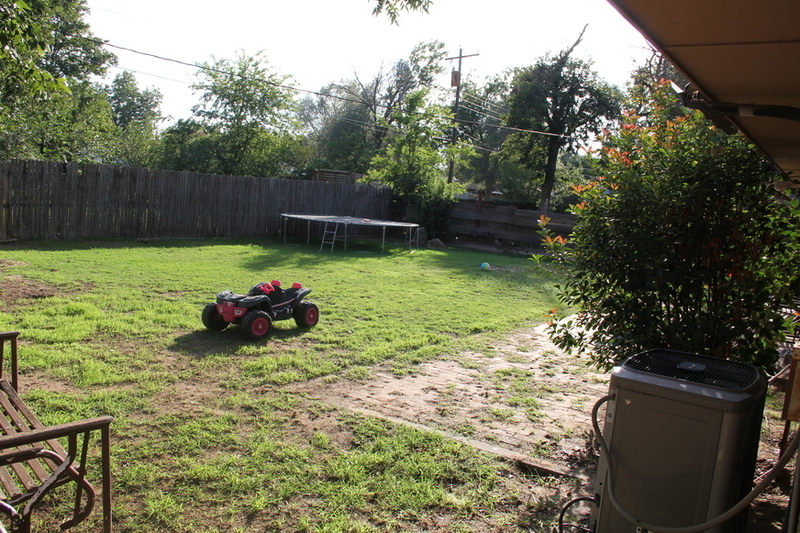 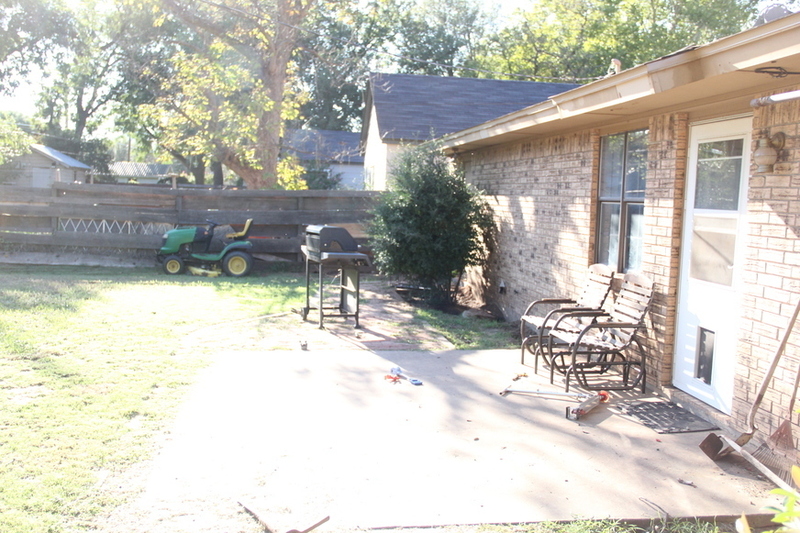 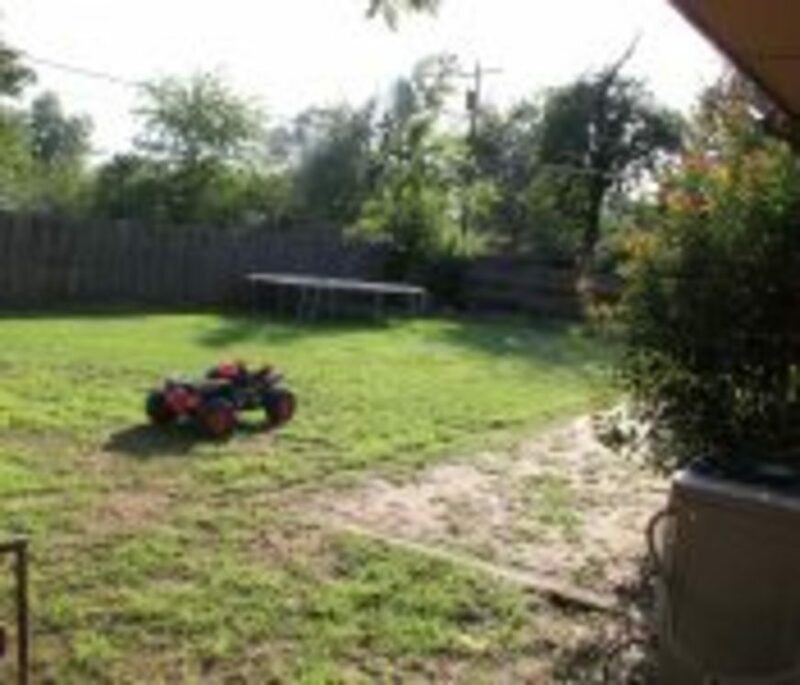 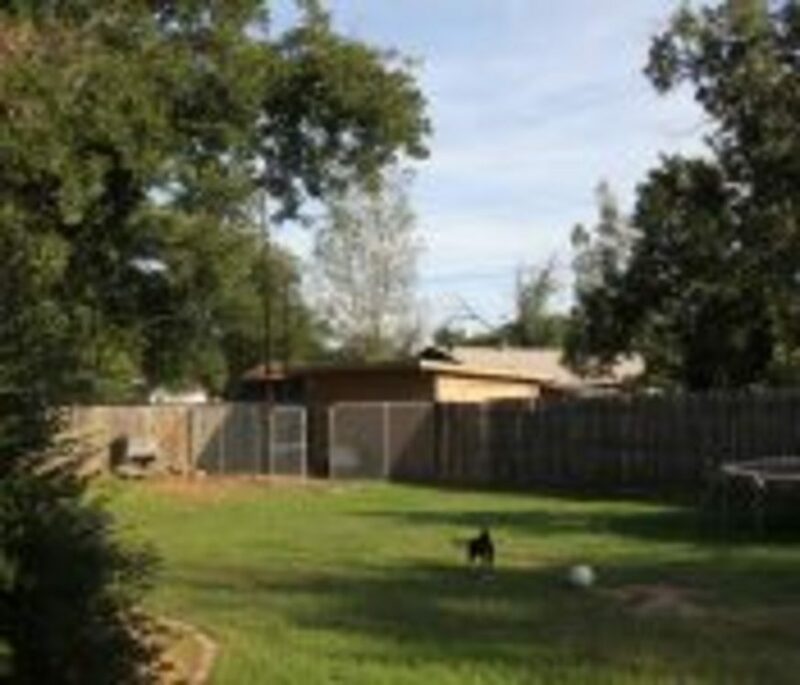 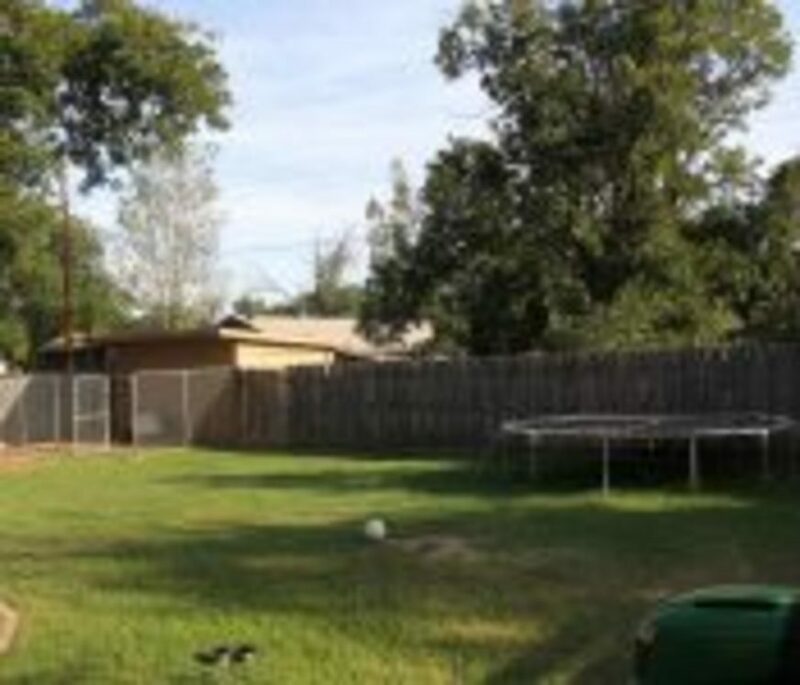 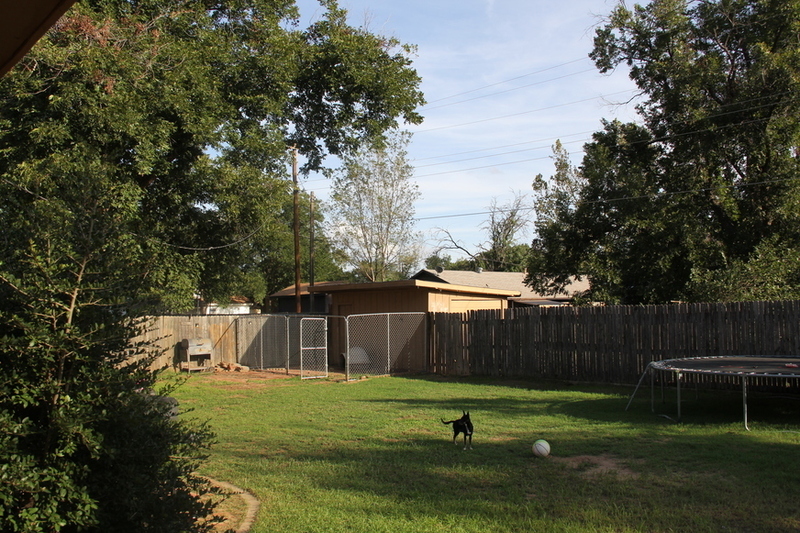 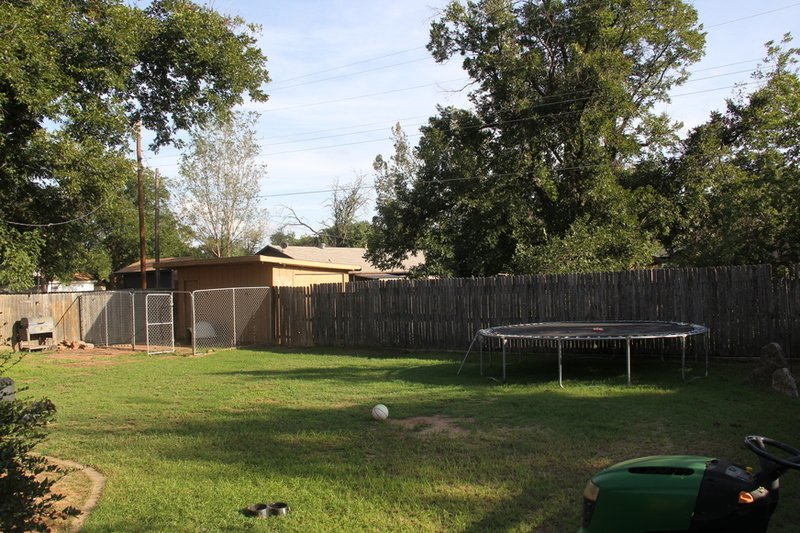 A privacy fence surrounds the backyard. 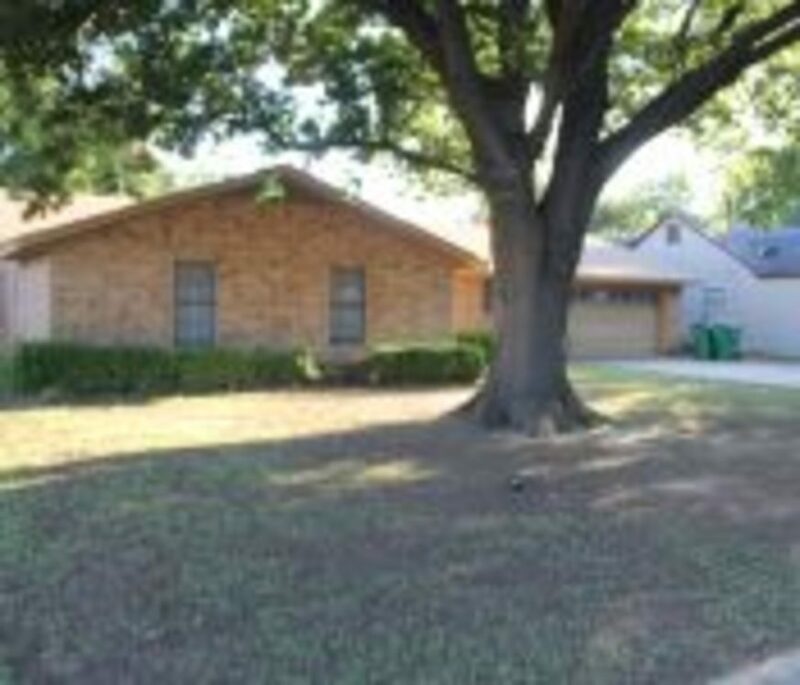 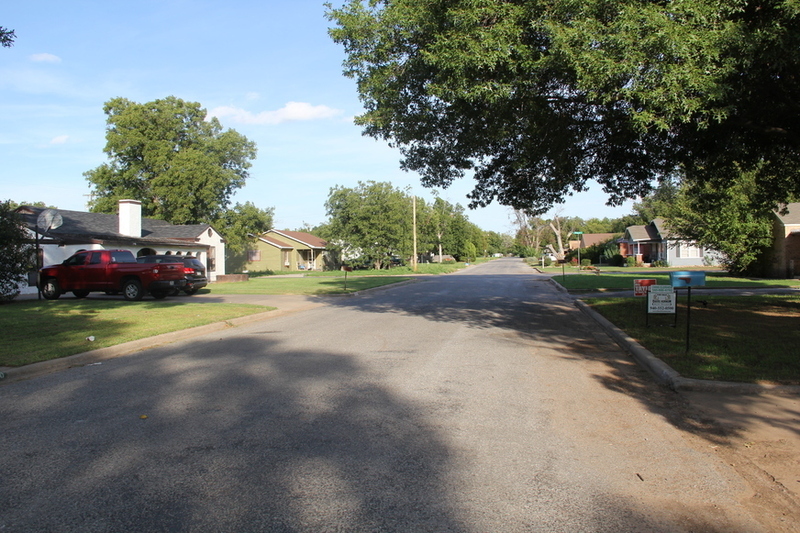 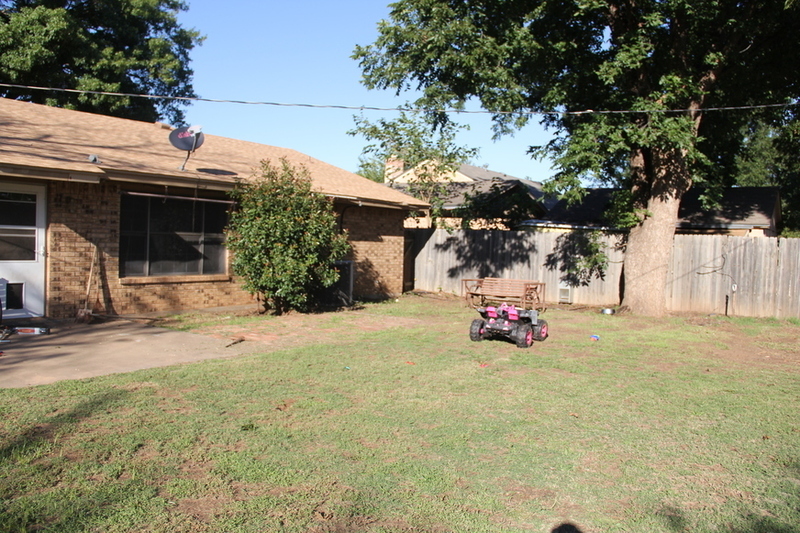 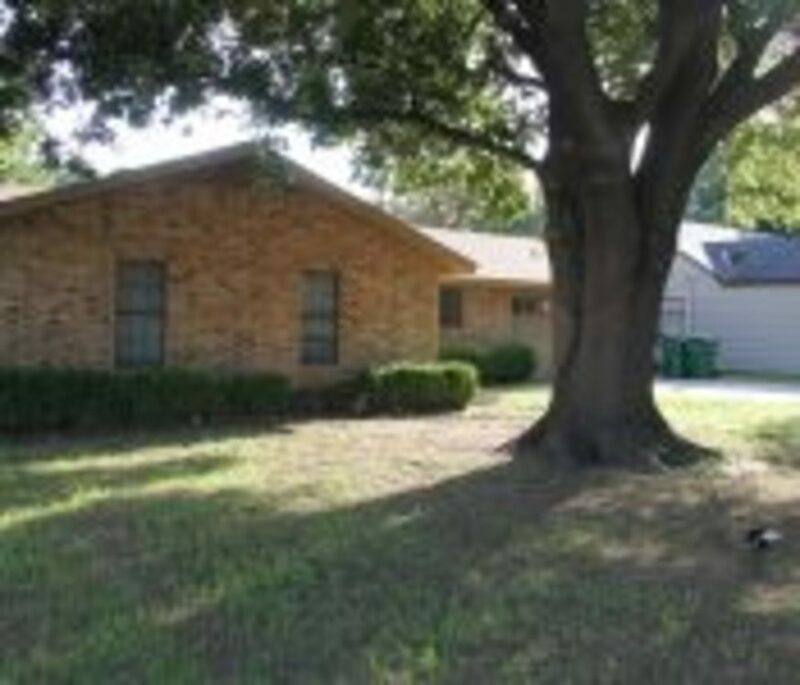 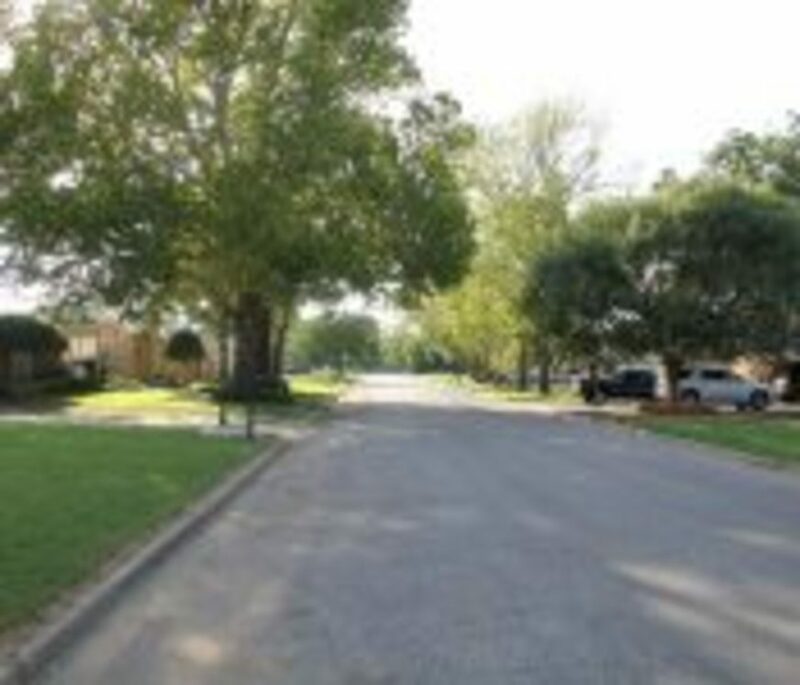 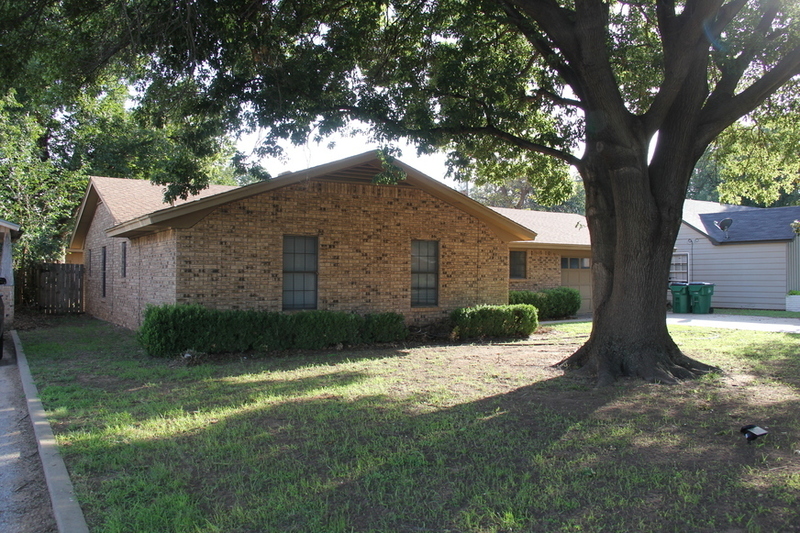 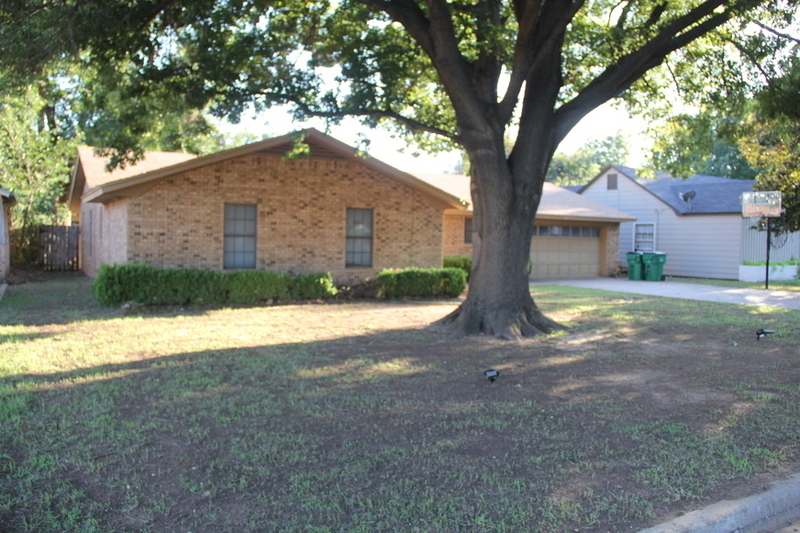 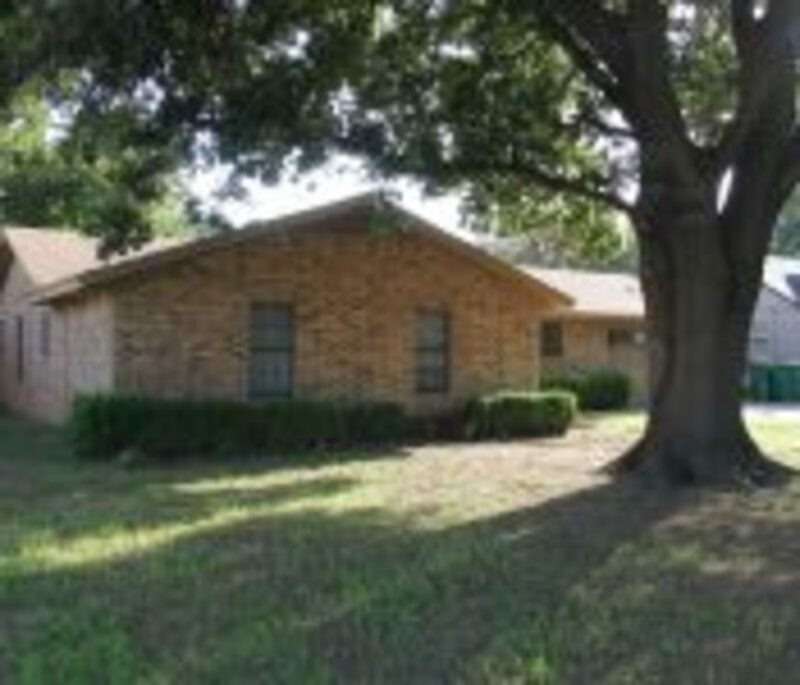 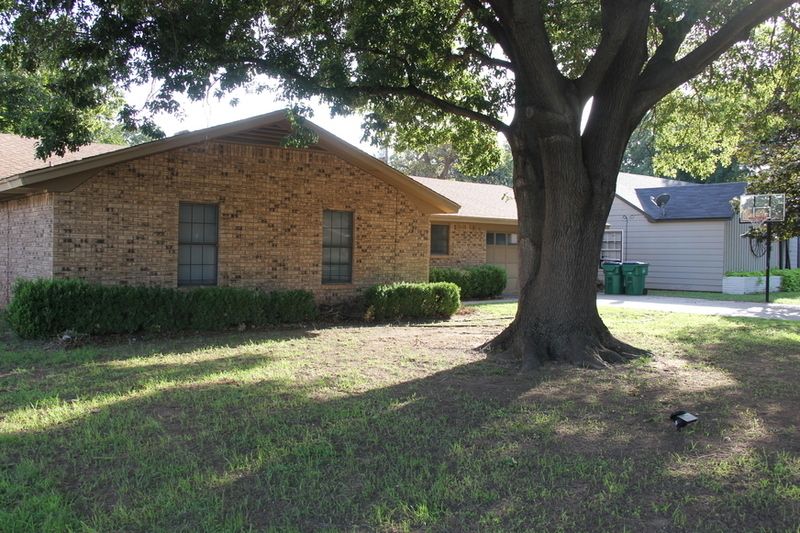 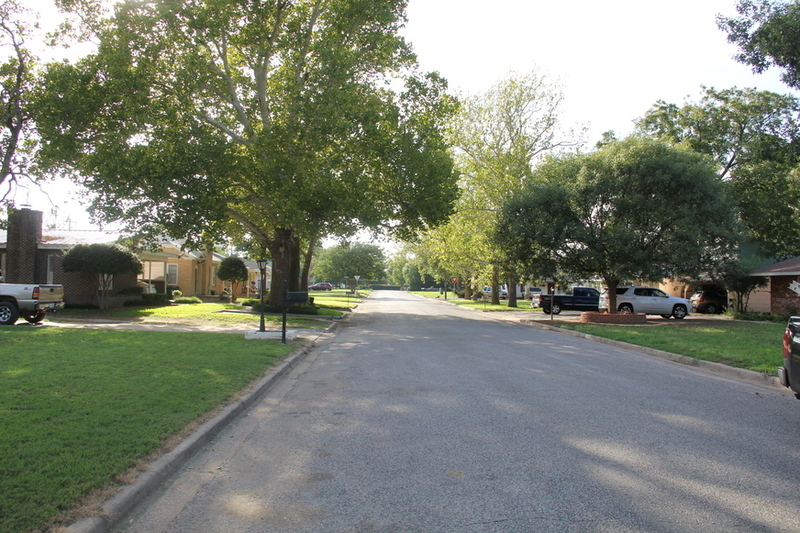 The front of the property has a beautiful mature shade tree. 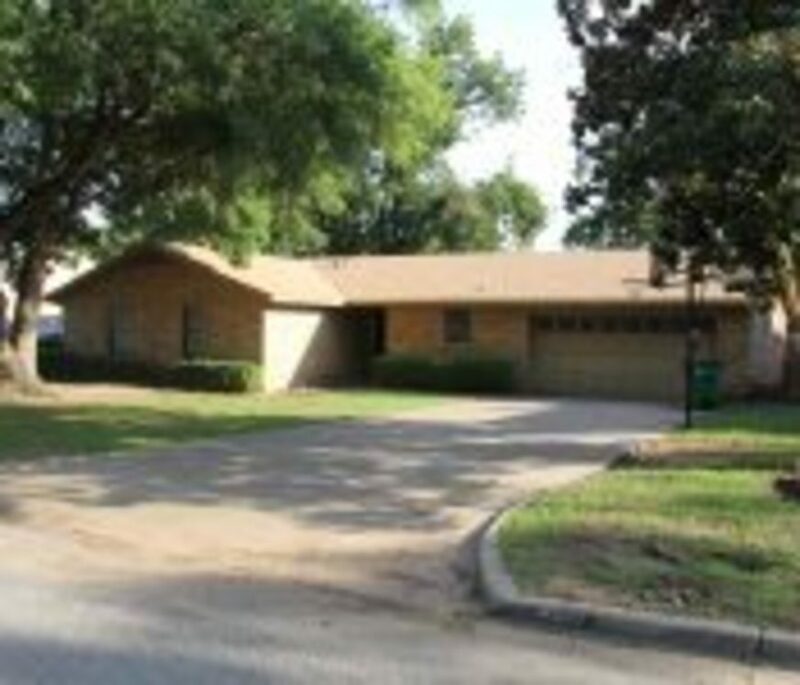 The composition roof was replaced 2 years ago with a premium style shingle. 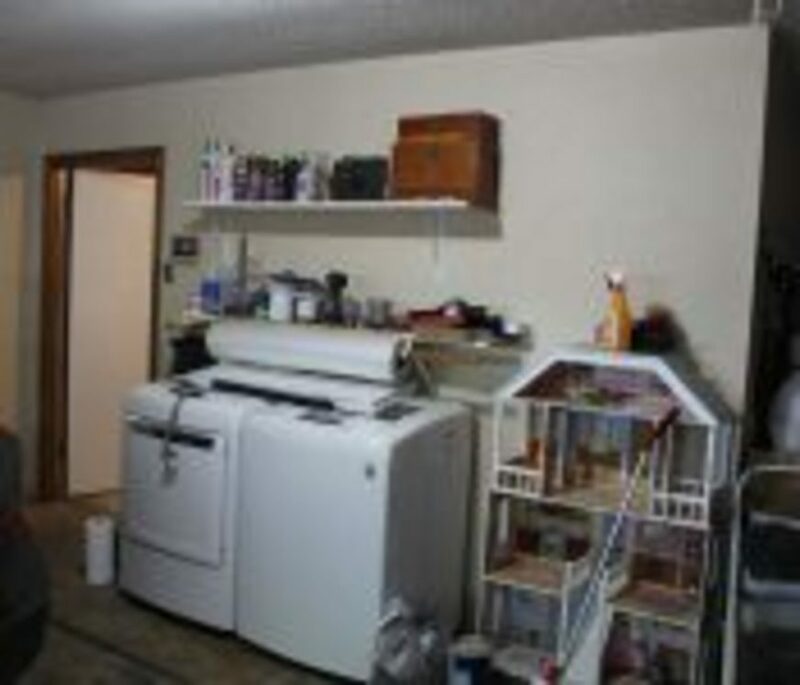 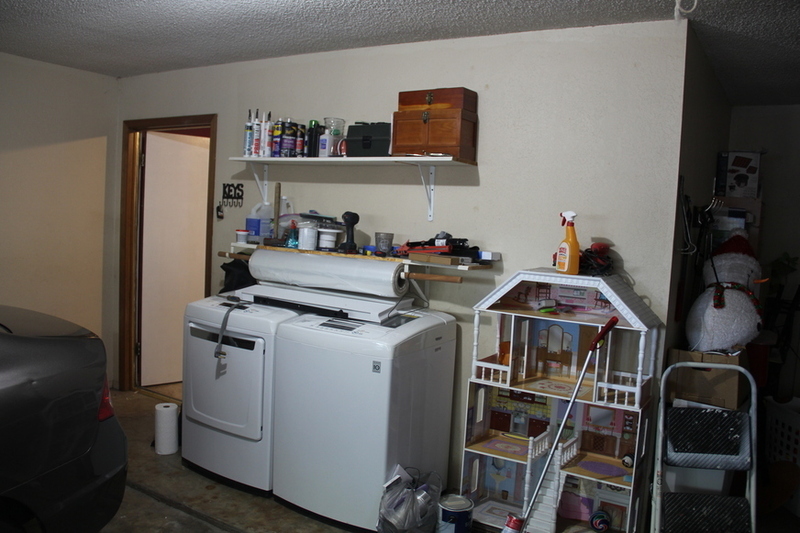 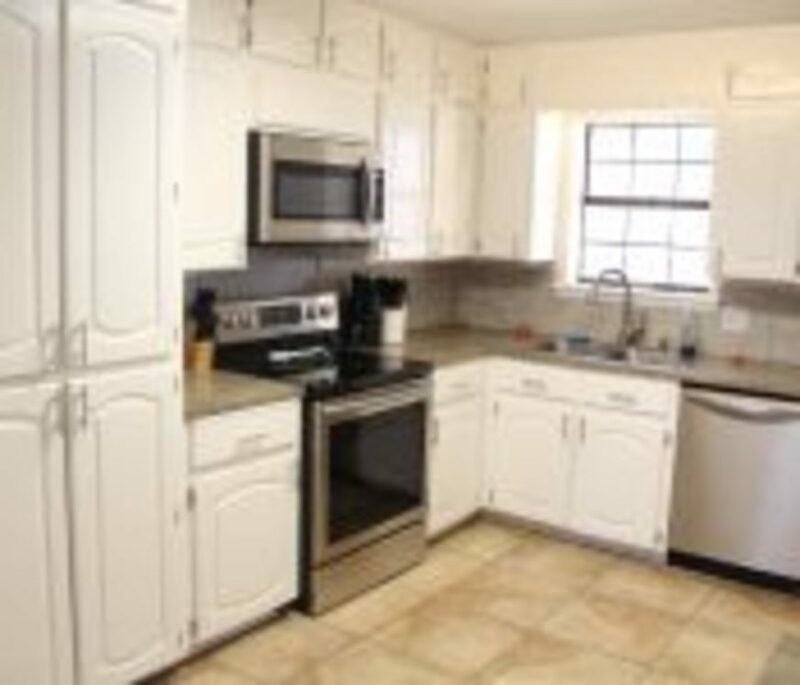 Refrigerator, Stove, Washer, and Dryer could convey with acceptable contract.